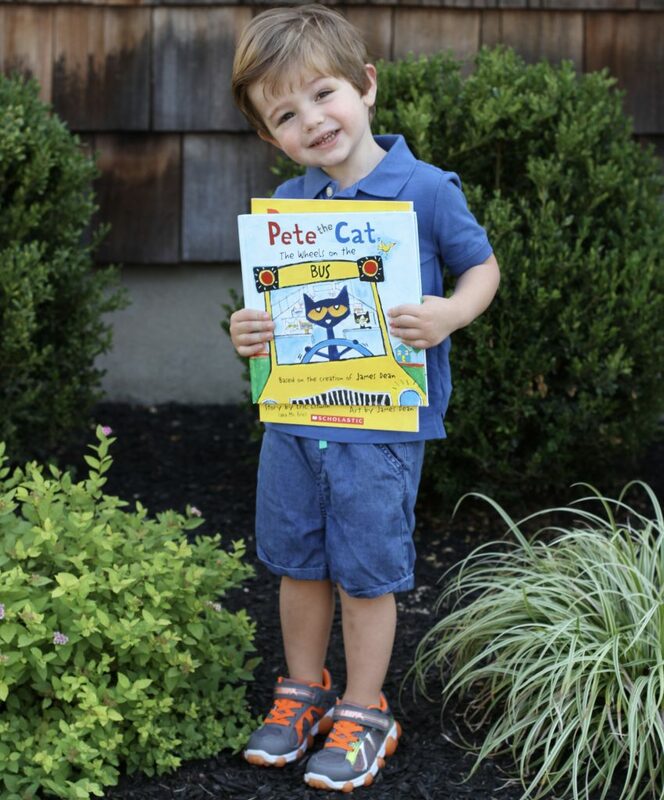 “I’m rocking in my school shoes, I’m rocking in my school shoes, I’m rocking in my school shoes.” Just like Pete the Cat, it’s that time of year where we stroll down the street & head off for our first day of school. 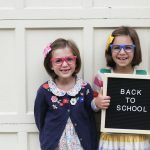 Today, I wanted to share about our back to school sneaker picks this year & a fun back to school craft for kids! 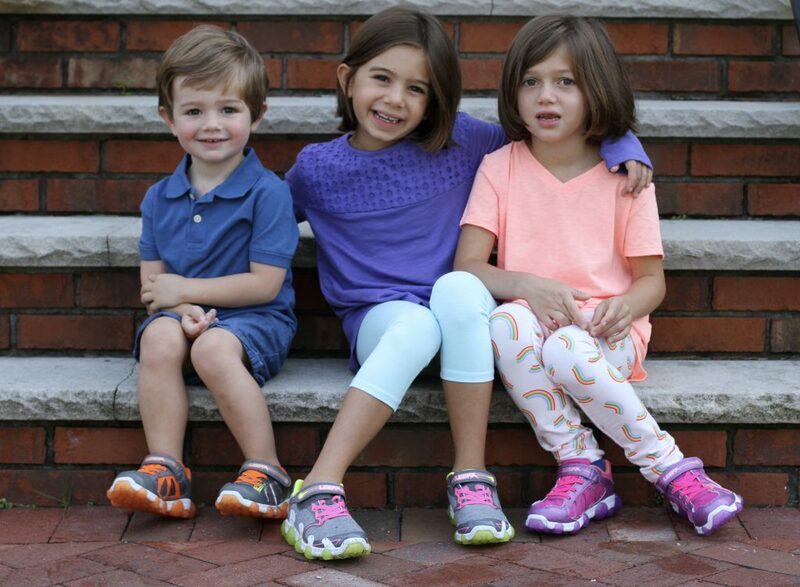 The kids could not be more excited to put on their brand new sneakers, the Leepz sneaker from Stride Rite. These sneakers were a favorite in our house last year & the kids couldn’t wait to pick out a new pair for school this year. 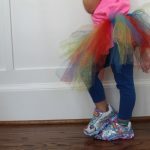 These shoes are bright, comfortable, & fun to wear! 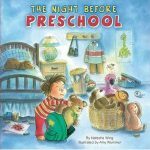 Leepz is a favorite for kids of all ages. My boys, ages eight and six, love that they are sporty looking & come in a variety of colors. This year, they both picked the shoe to match their favorite football team. For girls, there’s pink, purple, aqua blue, & more. The sneakers come in for kids as small as size 7 & as big as size 3. 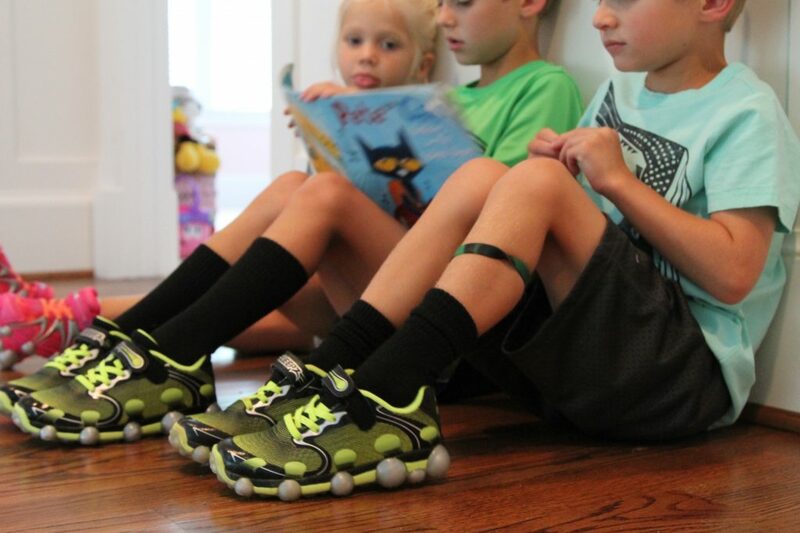 This year, the kids couldn’t be more excited to wear their new sneakers from Stride Rite, the Leepz sneaker. 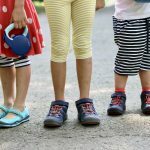 These sneakers have been instant favorites in our house and the kids can’t wait to wear them to school this year. 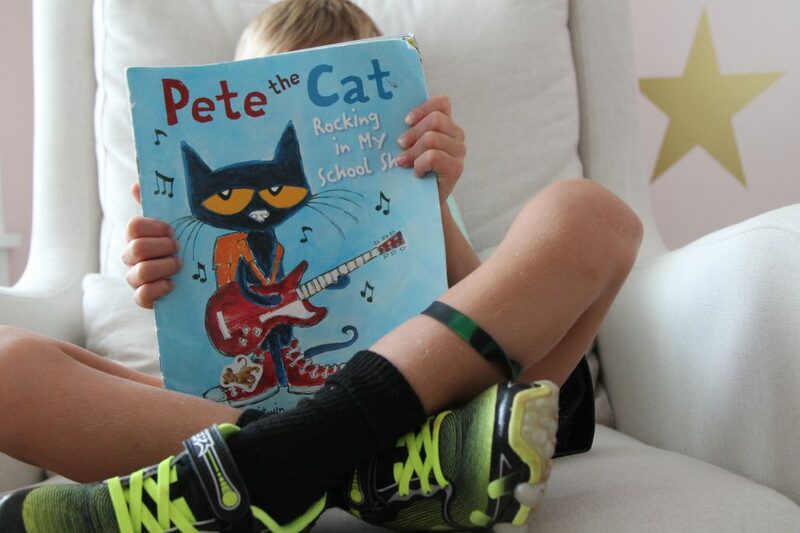 One of our favorite back to school books is “Pete the Cat: Rocking in My School Shoes”. 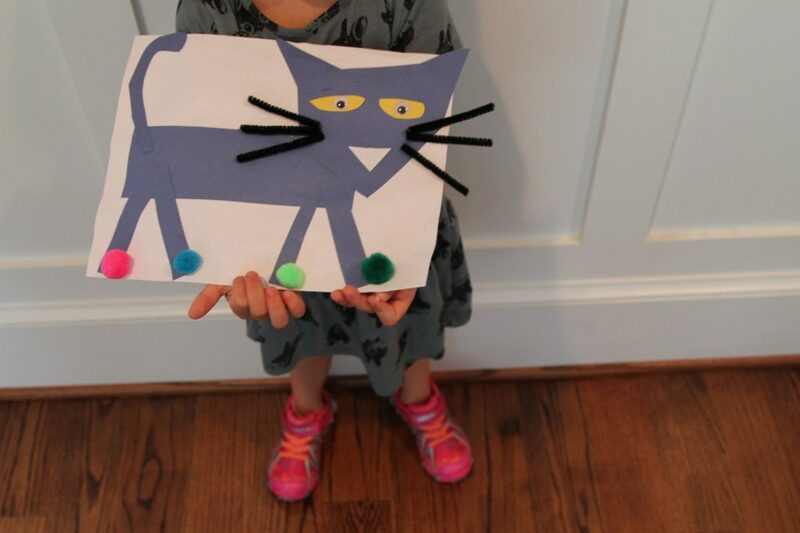 We were excited to create this fun back to school craft to pair with the book. 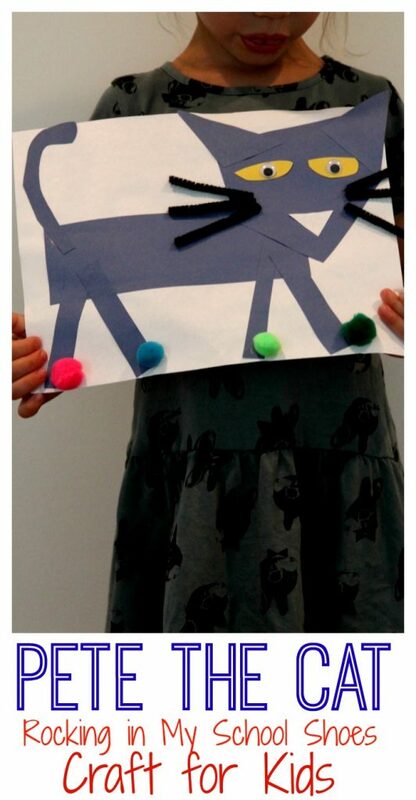 It’s a great craft for preschoolers because it works on shapes & scissors skills. Cut out one long blue rectangle for Pete’s body. Next, cut out one blue pentagon for Pete’s head. Cut out four blue small rectangles for Pete’s legs. Then, cut out two blue triangles for Pete’s ears. Cut out two yellow oval eyes for Pete’s eyes. Next, cut out a blue tail for Pete. Cut out one white nose for Pete. Cut out whiskers for Pete using the black pipe cleaners. Glue onto Pete’s face. Glue two google eyes onto Pete’s eyes. 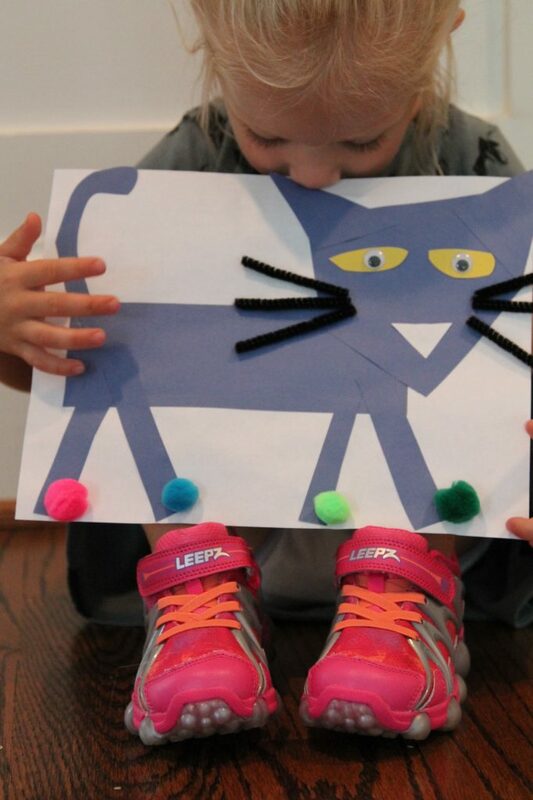 Add assorted pom-poms to create “rocking school shoes” on Pete. 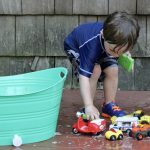 Disclosure: We were compensated for this post as part of an ambassadorship with Stride Rite. As always, all opinions are our own.